Basic Living - Blog: Summer is coming! Is your car prepared? Summer is coming! It's a great time to go on road trips with family and friends. Are you going to the beach? Are you traveling across the country? Where ever you plan on going, there are some things you should keep in mind before starting your car and taking off. When going on long trips it is important to keep in mind that the road conditions will not be the same throughout the entire trip. For example, in April, it may be 80 degrees in the southern states while in the northern part of the country it is still below freezing sometimes. When you plan for these big trips it is important to have some basic emergency preparedness items in your car to make your trip a peaceful one. Here are a few things to get you thinking about your automobile emergency preparedness. It is a common problem that could happen to anyone at anytime. We know a couple who, on their way back from their wedding, blew a tire on the interstate. It doesn't matter if you are newly weds, single, or have been married for a long time it could happen to anyone. It is a good idea to have a quick flat repair tool to help you fix it quickly. 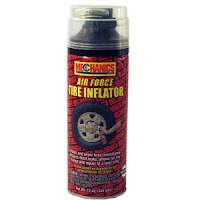 It is also just as important to check your spare tire from time to time. Make sure it has air in it. It not only serves as a lubricant for moving parts, it also serves as a cooling system to keep the engine from getting too hot. When a car runs without engine oil, the heat of the engine will cause the moving parts to melt and eventually lock up. It costs thousands of dollars to install a new engine. So, save yourself the trouble and always keep a spare bottle of engine oil in your trunk. Most of us have done it at least once. Leaving the lights on only to find your car powerless the next morning. Having a jumper cable in your trunk will help you solve this problem easier than if you were to wait for someone with jumper cables to drive by (and stop to help you). Don't count on others to be prepared to help you. If you don't know how to jump start a car, learn it before you find yourself in that situation. Changing road conditions sometimes could come as a surprise and you could find yourself stuck somewhere. Whether it be snow, ice, sand, or mud, a simple tow rope could save you a lot of trouble. Different cars have different needs in emergency situations. The best place to learn how to deal with problems concerning your car is in your owner's manual. Study it and become familiar with your car as part of your emergency preparedness. 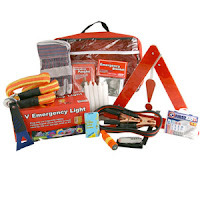 It is also good to keep it in your car, so you can refer to it when you find yourself in emergency situations. As you prepare for a great summer vacation, keep in mind a few basic automobile safety and preparedness tips and give yourself one less thing to worry about when you take off. Edmunds.com also has an article about roadside preparedness. Check out the following URL for more on roadside preparedness. I think that these tips can help me out from keeping my car safe during the intense summer weather. I hope that I can keep my car in an exotic look with the help of this guide.